Since 2013, Québec has been celebrating a new provincial treasure. Previously confused for a weed and often called milkweed, Asclepias plants produce an ecological, renewable and a non-animal insulation material. You will eventually be able to find it in winter coats, parkas, boots, gloves and more. Jean-François Tardif, a mountain climbing lover, climbed Everest equipped with milkweed-insulated clothing. He even said he was too hot for the temperatures in which he was climbing (-22 degrees to +25 degrees in the sun). He tested a one-piece jumpsuit, an anorak and a blanket, all insulated with milkweed. He could only wear the jumpsuit once because it was too hot. In regards to the anorak, Jean-François wore it every day during his expedition. And the blanket? It served him well as a rug on the soil to lessen the cold from the ice. Asclepias was next tested by the Canadian Coast Guard working on icebreakers. Since this fibre is very warm and water-repellent, it proved to be a perfect candidate to test in the environment they were in. To compare milkweed to similar insulation, you could say that it largely resembles down in terms of keeping heat in. On the other hand, the greatest advantage of Asclepias is that it is non-animal and comes from a 100% renewable and plant-based source. It’s water resistant and moreover, it’s less voluminous for the same or even a better insulation. Unlike down, milkweed insulation will conserve its ability to insulate once compressed. Did you know that Asclepias is an imperative for the monarch’s survival? In fact, milkweed farming supports the life cycle of the monarch. After a long winter in the mountains of Michoacán in Mexico, the beautiful butterfly returns to Québec and lays its eggs in the milkweeds. As soon as the larvae hatch, they begin to feed off the plants nutritious leaves. Since the milkweed is only harvested at the end of September, the monarchs will have already departed towards Mexico avoiding any danger! There is 12 thoughts on this article titled “The Natural Insulator of the Future: Asclepias”. I’m interested in growing milkweed for this purpose. Where can I get seeds that would best suit garment / insulation uses. There are many varieties. I live in BC at altitude (3000 ft). Is there a variety that would do well here? If so, can you point me in the right direction? Thanks. Hello Christa, feel free to do some research on the internet. We do not have access to the Milkweed seeds as an external company was growing the milkweed for the Quartz Co. jackets. Does anyone at your company know who I can contact to purchase the milkweed insulation in sheets or rolls? I am interested in using the material in the manufacturing of mattresses. Hi there, unfortunately, we do not have access to the sheets of milkweed. Your best bet would be to do some personal searching online. Gloves … I need some winter gloves that will really keep my hands warm. Do you produce them or are they in the product pipeline? Hey James, milkweed insulated gloves would certainly be fantastic! I am not aware if they are currently in the product pipeline although I do know there should be some new products added to the milkweed line this upcoming season so stay tuned! Could you possibly make something a little less expensive so people could try this out? I’ve considered purchasing a down toque, but I’d be happy to try milkweed instead. Or mittens maybe? What about sleeping bags? 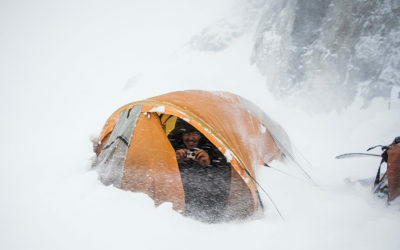 Backpackers would jump all over gear made with something that insulates as well as (or better than) down but is moisture-tolerant and retains insulation even when compressed. Hey Bill, this is just the start of milkweed insulation so it’s possible we’ll see it used in a variety of products in the future. Very cool concept and potential here. If it performs as well as promised, will it be replacing synthetic versions like primaloft, coreloft, or thermatek? And will we see a decrease in price compared to higher end clothing that price gouges for its materials? Great questions Jordan. This insulation is still very new and we are constantly learning more as it evolves so only time will tell. As for pricing, we are a retailer so it would be more on the manufacturing level regarding pricing. The concept is still very new so it’s possible that production costs may fluctuate as it becomes a norm. how does it perform when wet? how does it perform compared to mountain hardwear ghost whisperer? x quartz co is making mostly parkas, any news on making bomber styles, covering the lower back when it rides up? The milkweed has a natural resistance to the wet so it will hold up although it is not waterproof. In saying that, there have been tests which prove the insulation holds its loft well even when it is wet so it can maintain its insulating properties. 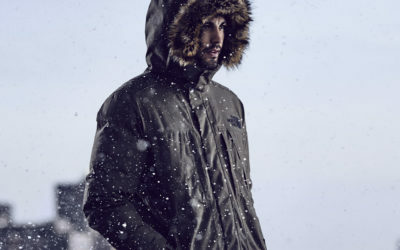 The Mountian Hardwear Ghost Whisperer is an entirely different style of jacket although being made with down, the milkweed insulation may perform better if you encounter damp conditions. As for Quartz Co. coming up with different styles, this is the first year of the rebranding so it is possible they may come up with new styles for he coming years but we’ll have to wait and see.